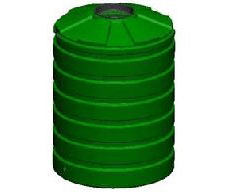 The TT260 Industrial tank is a 1,200 litre tank designed for industrial use on smaller sites. 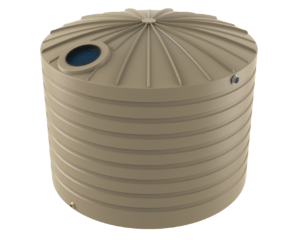 This tank can be used for storage of liquids and chemicals on both residential and commercial sites. The Bushmans TT260 has a wide range of applications from storing water and chemicals for manufacturing purposes, to more specific operations such as food processing, pools, mining and construction projects. The TT260 is made using Bushmans Sunsmart® technology to ensure peak performance in Australia’s harsh sun. 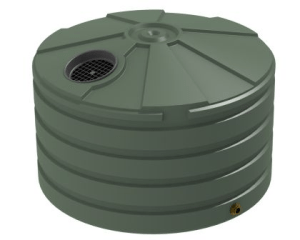 The tank is designed to meet accordingly with the AS/NZS4766 tank standards. Bushmans Industrial operates across the central and eastern seaboard with manufacturing and distribution operations in Queensland, New South Wales, Victoria and South Australia. Bushmans has a high level of experience in working closely with customers to develop and build and specific product solution for an industrial process. Existing Bushmans tanks can be customised to meet specific customer requirements to accommodate chemicals, higher densities and a wide range of temperatures. For more information on Bushmans TT260 Industrial tank call on 1300 373 392 or email your local Bushmans service centre.